An expression of interest (EOI) is a method of showing your interest in applying for a skilled visa for immigrating to Australia. 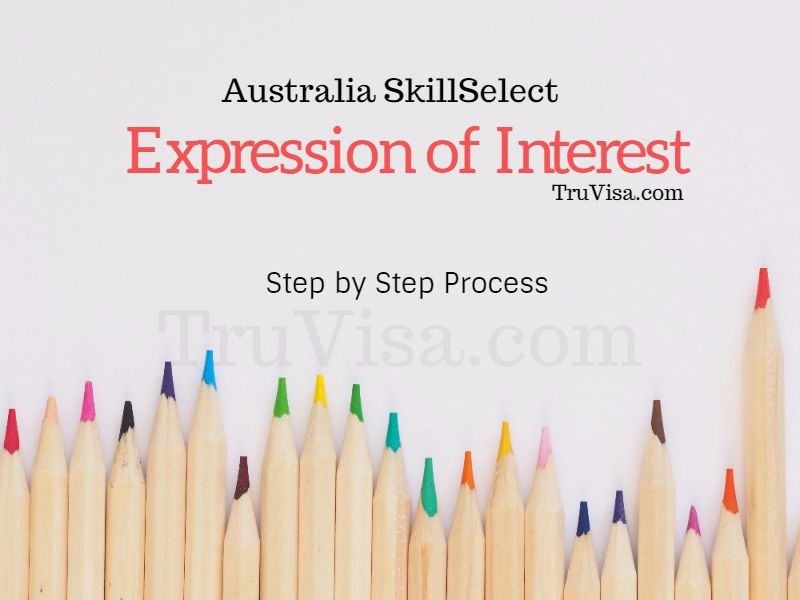 It is an online application form that needs to be filled by applicant using an Australian government website commonly called as SkillSelect . You select the visa type and submit your family, education, employment details and wait for the invitation to finally apply for visa. SkillSelect analyzes your eligibility to meet the points test for certain visas like 189, 190 and 489. Once you submit your application (EOI), it is available to be picked up in visa lottery that is drawn every month. Your profile is also shared with employers and state and territory government agencies if you would like to be considered for a sponsored skilled visa. Create SkillSelect online profile here. 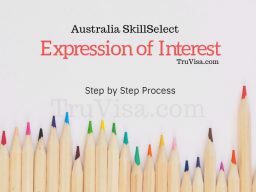 Use this sample step by step Australia Expression Of Interest to fill your application. If you have questions, you can either ask in comments below or join the discussion on TruVisa with other candidates looking to migrate to Australia. Before you file your SkillSelect EOI, you should get your education and employment assessed by relevant authority based on your job. ACS assessment process is available here. I am Prabhu, working as assistant sports officer in IIT Bombay. I have applied for via anzsco code 452317 (other sports coach or instructor) and I got positive assessment in 2015(VETASSES). It’s been four years completed. After that I completed PhD. It is Possible can I re-apply with PhD. What are the probabilities to get PR? How long it will take to get PR? The PR processing time depends on your total PR points. Points will decide how soon you can get an invite. You have good chance of invite within 2-3 months for 2613. I am getting 80 points including Skilled Regional (Provisional) Subclass 489 visa for Anzsco code 224999 , what are my chances of getting an invite and how long it takes to be invited after I submit my EOI ? I do not have data for 489 invites. Sorry. Can I submit multiple EOIs. One for subclass 189 and one for 190. The system allows you to create multiple EOIs. I have seen people create EOI separately for each visa type too. For ANZSCO Code 234914 (Physicist) and 234999 (Natural and physical science professionals (nec)), what are the chances of invitation with 70 points? Check the points and last invite date for each ANZSCO code here. If you select more than one type of a visa, does the invitation applies to all selections or they send one for each visa type? You will only get invite for one type of visa in one EOI.